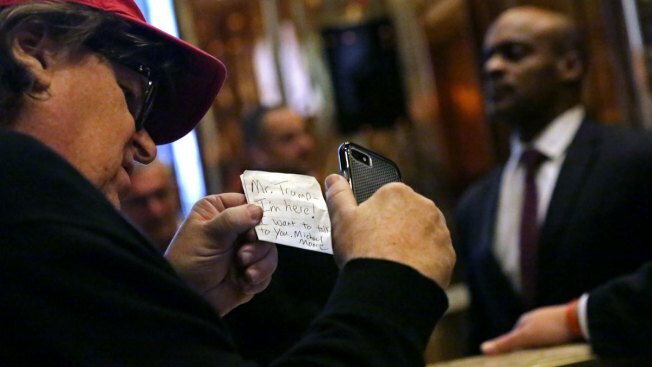 Filmmaker Michael Moore leaves a note for then-President-elect Donald Trump at Trump Tower on Nov. 12, 2016, in New York City. 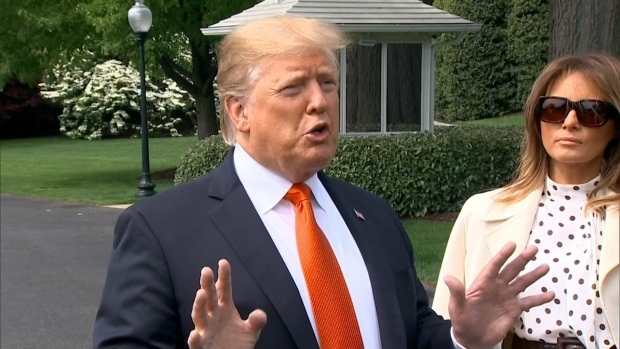 Michael Moore is making a documentary about Republican President Donald Trump and says the president should be worried. Producers Harvey and Bob Weinstein announced Tuesday that they have secured worldwide rights to the film, which Moore had dubbed "Fahrenheit 11/9." The name is taken from the day after the Nov. 8 election when Trump was declared the president-elect and is a reference to Moore's 2004 President George W. Bush documentary "Fahrenheit 9/11." Moore has been secretly working on the film for months and promises it will be explosive. "No matter what you throw at him, it hasn't worked," Moore said in a statement. "No matter what is revealed, he remains standing. Facts, reality, brains cannot defeat him. Even when he commits a self-inflicted wound, he gets up the next morning and keeps going and tweeting. "That all ends with this movie." The Weinsteins will shop Moore's latest in Cannes, where "Fahrenheit 9/11" won the Palme d'Or. They are vowing it will "present a story line unlike any that is currently being told." Moore released "Michael Moore in Trumpland," based on a one-man show of his, shortly before the November election. Moore premiered that film just days after shooting it. He released it in theaters and on various other platforms, all the while warning liberals that Trump was going to win the election.